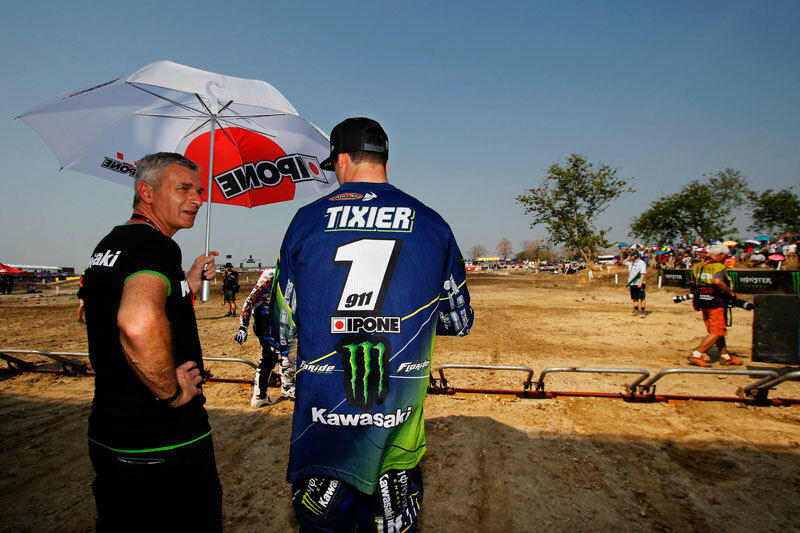 Home News Tixier banned from MXGP Argentina? Tixier banned from MXGP Argentina? French website Motoverte.com are reporting Jordi Tixier has been banned from the MXGP of Argentina and hit with a €5000 fine for punching a doctor and a FIM official in Thailand! Tixier’s Father says Jordi acted out of character as he was still groggy and not in a normal state having suffered heat exhaustion in the first moto which he was not able to finish. He tried to explain this to the officials but they would not listen. No official comments on the incident have been released yet from the FIM or CLS Kawasaki. We will update the story when we hear more. Jordi Tixier, third member of the KRT team, had an unfortunate weekend. After an early incident he had to fight his way through the pack and had advanced to eleventh until he crashed within sight of the chequered flag and surrendered two positions. After receiving medical attention, Jordi did not start the second race and has dropped to twelfth in the standings.